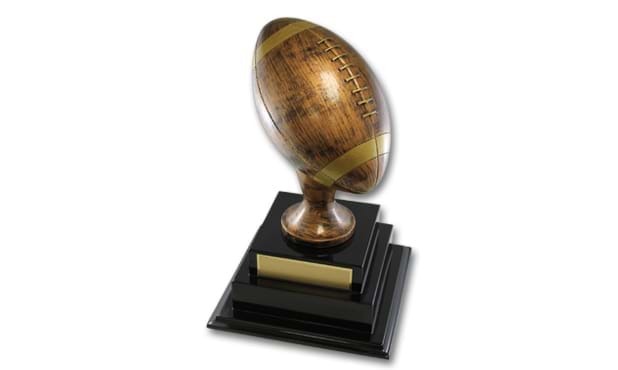 This award features a large football in a bronzetone finish with gold stripes and three-dimensional laces. Comes mounted on a two-tier base that has plenty of room for annual plates. Base is available in black or rosewood piano finish. Perfect as a fantasy football annual trophy. Award measures 16" tall. Main plate with inscription is included in the price. Black piano finish base is pictured.